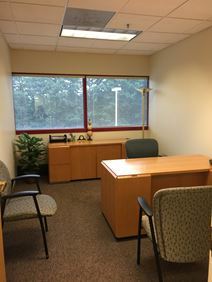 Office Space - Eatontown, New Jersey. An ideal alternative to a standard small office or a home office arrangement these fully furnished and full serviced offices are close to major highways including Rt. 18, I-195 and the GSP. A fitness center is within the building as is a gourmet café serving breakfast and lunch. The regional transport links in the locality are excellent and offer a range of convenient and frequent services throughout the area.